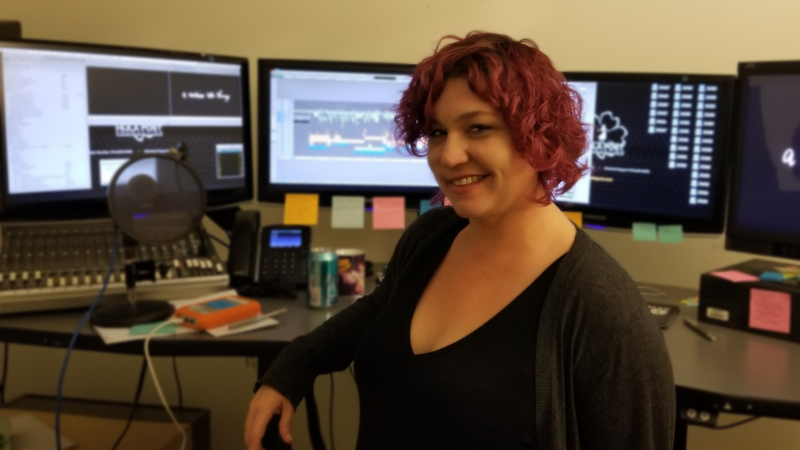 Ilana Lewis has been working in scripted features and television as an assistant editor for the past six years, primarily using Avid. Her credits include American Horror Story and Marvel’s Daredevil and Runaways. How did you get your start as an assistant editor? I started my career in production as a sound mixer, but I was always cutting things for my friends on the side. Once I was ready to change paths, I used every contact and called in every favor I could to help make the transition into post. I started out working in reality, which is a great way to cut your teeth and accrue union eligibility hours. After a few years of hard work, I finally got an interview for an apprentice position on a studio feature film. The editor and I hit it off and she took a chance on me, investing time to train me and eventually helping me bump up to assistant editor. We worked on a couple of features together, and we’re still great friends to this day. What project are you most proud of and why? 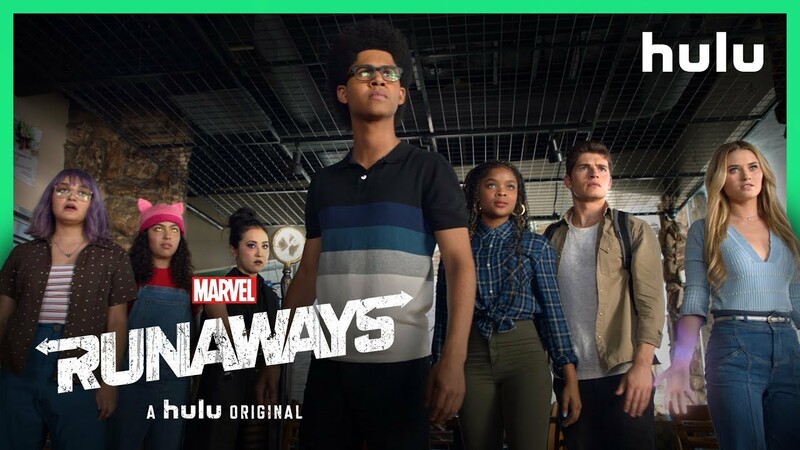 I’ve learned something invaluable on every show, but season two of Runaways might be my favorite project so far. Having the opportunity to work on something that I’m also a huge fan of was such a treat. The scripts were so much fun, the cast was wonderful, the showrunners were so down-to-earth and knew exactly what they wanted, and the editorial team was a really good group. I’m fortunate to work with an incredibly talented editor who also happens to be a supportive mentor. I have learned so much from him. He usually lets me cut a few scenes if the schedule allows, and then spends the time to go over the cut with me and explain how to adjust my approach so that it fits the style and tone of the show. Every episode we do together I can see myself gaining confidence and becoming a better editor. How do you prep before a big project? I try to learn as much as I can about the show, from workflows to post schedule, so I can identify and get ahead of any potential problems. It’s important for me to be as proactive as possible so when things get crazy I’m as prepared as I can be. I’ll also watch past projects by the creators if I’m not already familiar with their work. Before a big project or a particularly intense run is also the time when I try to pamper myself a little. That means exercise, naps, and socializing with friends so that I’m taking the best care of myself that I can. What’s a keyboard shortcut you can’t live without? It would have to be reverse match frame in Avid ⎯ truly a game changer for conforming and cross-checking cuts. It allows me to work quickly but still be confident that I’m catching any possible mistakes before the cut leaves my edit bay. And, of course, who can live without CTRL+Z? How do you keep yourself fueled when you’re in an epic edit session? Bananas and almonds are my favorite. It’s really easy to fall into bad snacking habits, especially when you’re working long hours on a show that has a kitchen stocked with treats. I try to keep it healthy as much as possible, but also not beat myself up if I slip. Where do you turn for creative inspiration? I’ll go back to the classics. To name a few: David Lynch for sound design, Terry Gilliam for his visual style, and the Coen Brothers for their mixing of dark and light tone. What do you do when you start feeling creative burnout? Move. Get up. Stand if you’ve been sitting. Take a walk if you can, even if it’s just a lap around the office. I also try to vary my work throughout the day to keep my brain from getting fatigued from one single task. In my free time, sometimes watching the exact opposite of my current gig is a great way to think about things differently. When I was on American Horror Story all I could watch were half-hour sitcoms. And as much as I love the entire Marvel-verse, instead of watching superhero fare while I was on those shows, I got majorly into Forensic Files reruns. And now that I’m on a network drama, I can’t get enough Marvel. What’s your favorite film and/or TV series? That is such a hard question since I’m a big horror/sci-fi/comedy nerd. Right now I think The Good Place might be my favorite series. It’s a truly funny and well-written show about what it means to do the right thing. If you could collaborate with any director/producer/editor living or dead, who would it be and why? Sam Raimi. He’s kind of my hero. 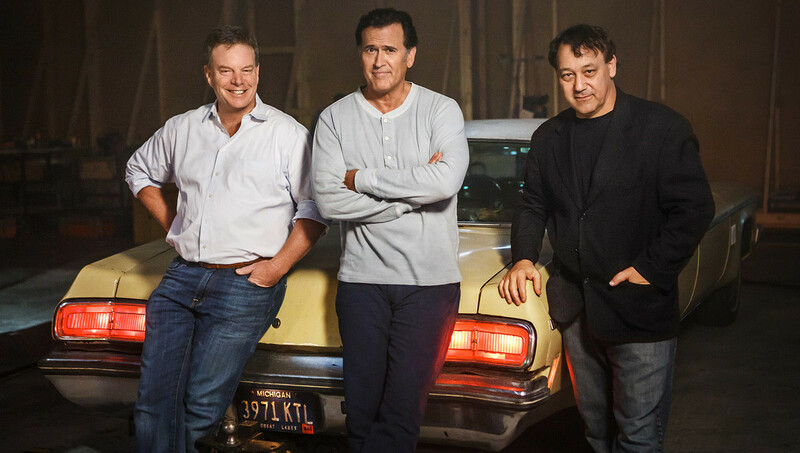 If the project could also somehow include Bruce Campbell, that would be some kind of dream come true. What career and/or life advice would you give your younger self? Take care of yourself. When you’re passionate about your job, it’s really easy to slip into working long hours that leave little time for the things you do to feel human. What’s your go-to Boris FX plug-in (Continuum, Sapphire, Mocha Pro) and effect/feature and why? Continuum and Sapphire plug-ins are so helpful. I’ve had editors ask me to create all kinds of strange and random things, and when you have Continuum and Sapphire plug-ins available, there is always some way to achieve what was requested. Sapphire’s Defocus, Blur, LensFlare, Glow, and Shake plug-ins are so useful for a large variety of tasks, from something as subtle as adding texture to a scene to creating stylized transitions. Continuum’s Film Damage & Film Grain have been very useful when a certain mood needs to be created in offline especially the horror projects I’ve worked on. And I’ve fooled showrunners with my temp monitor comps using TV Damage and Scan Lines into thinking they were on set playback. I’ve been on a lot of VFX-heavy shows, and it really streamlines workflow to temp and tweak an effect in Avid before sending the shot out to the VFX vendor. On genre projects ⎯ especially horror ⎯ the plug-ins have been invaluable for creating a look and a texture that sets the requisite mood.